As I’m sure you already know, the Three Valleys is the largest ski area in the world, and we’ve just found out that Val Thorens – at the top of the Belleville Valley – has just won France’s Best Ski Resort at the World Ski Awards for the third time! Well done VT! There’s also lots of exciting developments going on throughout the Three Valleys this 2018/19 season. A whole lot of fun to be had by all our guests, both on and off the slopes! 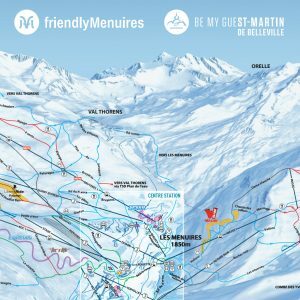 – The ‘Granges’ chairlift linking St Martin to Les Menuires/ Meribel-Mottaret is increasing its capacity from 1,800 skiers per hour to 2,600! This will make a huge difference to all our guests and will help decrease waiting times to increase that all important skiing time! – The ‘Bruyères’ gondola in Les Menuires is being upgraded. It will be much faster and have new 8 seater cabins, improving the uplift capacity considerably. – Also in Les Menuires, the ‘Roc 1’ will see an improved capacity flow (3,200 people per hour vs 2,800)… We are pleased to see that these changes are also being carried out with a heavy eco-friendly focus. 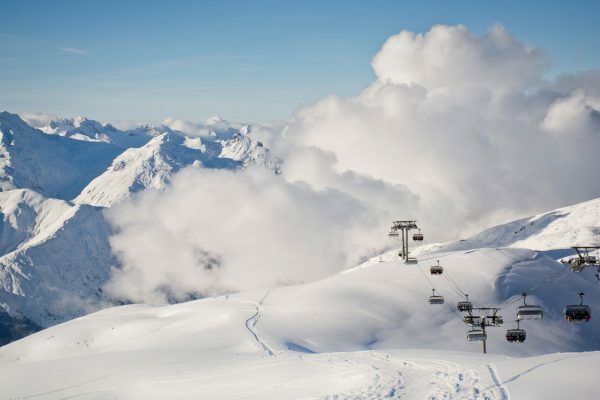 – In anticipation of the Alpine World Ski Championships in 2023, Meribel are investing 15 million Euros in upgrades. Check out this season’s brand-new ‘Legends’ chairlift which will have heated seats, head rests and a bubble cover to protect passengers from the elements. This new lift will replace both the ‘Plan de L’Homme’ and ‘Roc de Fer’ lifts to upload passengers in 4 minutes 40 seconds. – The ‘Cherferie’ draglift has also been replaced by a 6 seater chairlift that will transport skiers to the top in just 4 minutes. It’s perfect for a speedy return back to St Martin! – The ‘Mont Vallon’ 8-seater gondola has been replaced by cabins to offer increased space and comfort, seating 10 people. The arrival station has also been lovingly refurbished. – The old 4 seater Grangettes gondolas will be replaced by 10 seater cabins whisking skiers from Courchevel 1550 up to 1850 in no time. 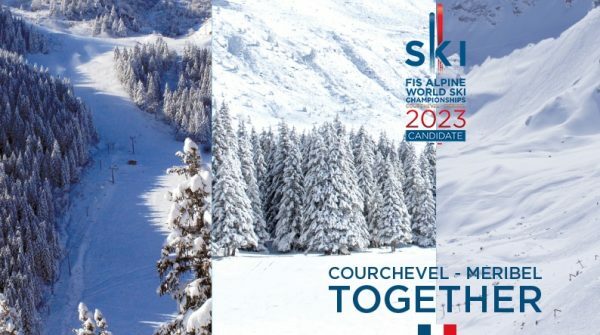 – Redevelopment of Courchevel Le Praz for the 2023 Alpine Ski World Championships. The brand new 27€ million base station will be completed for December 2019. It will boast extensive underground parking, a tourist office, sales desks, indoor and outdoor play areas, a medical centre, ski lockers and sports facilities. – Catering even more so for all abilities, there is now a red run which starts from below the top of ‘Choucas’. It connects to the ‘Roc de Fer’ blue run as well as another one that runs from the ‘Face’ black run to the ‘Raffort’ piste. – The green ‘Ours’ nature piste is being expanded to allow skiers and snowboarders to spot wild hares and golden eagles whilst sliding through ancient pines. – Beginners haven’t been forgotten either; a new covered magic carpet at le Rond-Point allows learners to reach the slopes in safety. 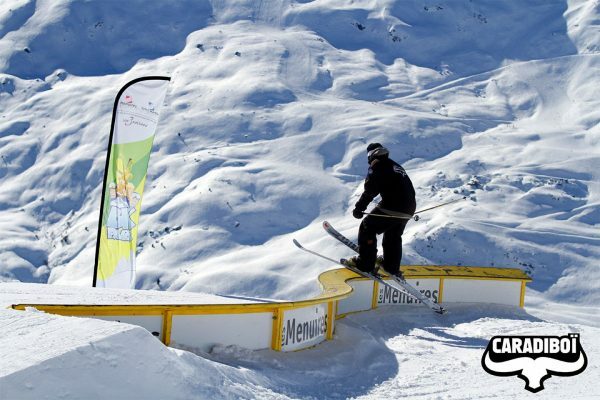 – The local snowpark, now call the ‘Pixel Area‘ in Les Menuires has been completely transformed with new rails and tables for practising your tricks with your mates. Head over to the Becca chairlift to check it out. – There is an exciting new red run (due to become a blue) descending from the top of the stunning Cime de Caron. This will make the area much more accessible for intermediate skiers! 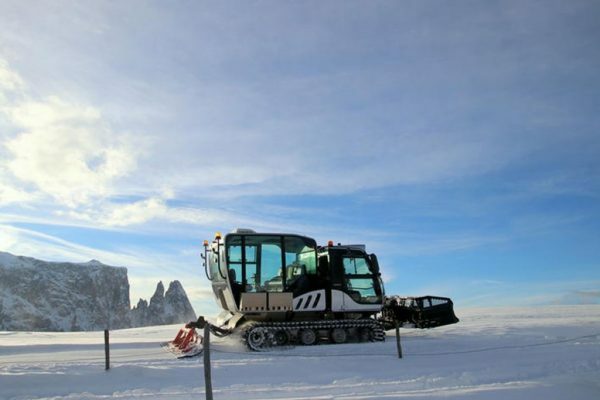 – A new black run, ‘L’Armoise’ will also be loved by experienced skiers in the Boismint sector. – There’s a new “Cosmojet” toboggan run for skiers and non-skiers over the age of 5 . Embark on a 45-minute descent over a 6km-long space-themed route! A fun adventure full of facts about space, with a hot drink and some local produce offered in the “Cosmos” yurt at the end. Further investment in new-generation technology means that now one third of the entire 3 Valley ski area will have advanced snow making facilities. This means even more snow-sure skiing for all our lovely guests throughout the season! Larger reservoirs, such as at La Masse and the Altiport, will also stock water during the autumn months to make more snow, faster, during the colder snaps. Fancy having a dip in a lovely hot Jacuzzi after a busy day on the slopes? Now you can, in the heart of St Martin de Belleville! There are three outdoor hot tubs + 1 sauna in village for you to enjoy for free (from 3-7pm)! Pre-bookings only (via Tourist Office). La Bouitte will be opening a brand-new Savoyard Tapas bar and mountain bistro called ‘Simple et Meilleur’, in the new Caseblanche area by the gondola. This will be a stunning new place to go, open every day (lunchtime and evenings), and we just can’t wait to try it out! Via the tourist office you can organise Moonlight piste basher trips in Les Menuires this year. Have a ride in a piste basher in the evening, and then get have a delicious meal up in the mountains. What better way to experience the mountains and see what goes on behind the scenes to make our 3 Valleys slopes so fabulous! 50€ per adult / 30€ per child. Piste-basher trip – Book it in Les Menuires! Head over to VT and try out their new ‘Bee’ double zip line: 1.8km long, reaching heights of 65 metres above the ski area! An adrenaline-fuelled experience for two, accessible to skiers and pedestrians alike. Starting from the top of the ‘Moutière’ chair lift you will arrive, suitably exhilarated, in the resort centre: Place Caron. All in all, there’s lots to look forward to in the 3 Valleys this year! If you haven’t already booked your ski holiday get in touch with Nadine or Jess at ‘Self Catered – St Martin’ and let us help you find your dream chalet this winter! 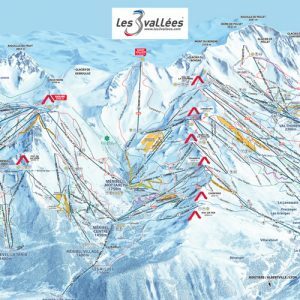 Book your ski holiday in the 3 Valleys ski area!